After approximately 17.5 months of winter, there is a small flicker of hope that spring might truly arrive here at some point in the not-too-distant future (or at least temperatures will stay above freezing for more than four hours at a time). Along with the warmth and sunshine, the idea of being able to step outside into the fresh air (and not be bundled in 12 layers) makes me a little dizzy with excitement. The sounds of birds chirping, the scent of flowers blooming, the aroma of fresh cut grass... I just can't wait to take deep breath after deep breath. 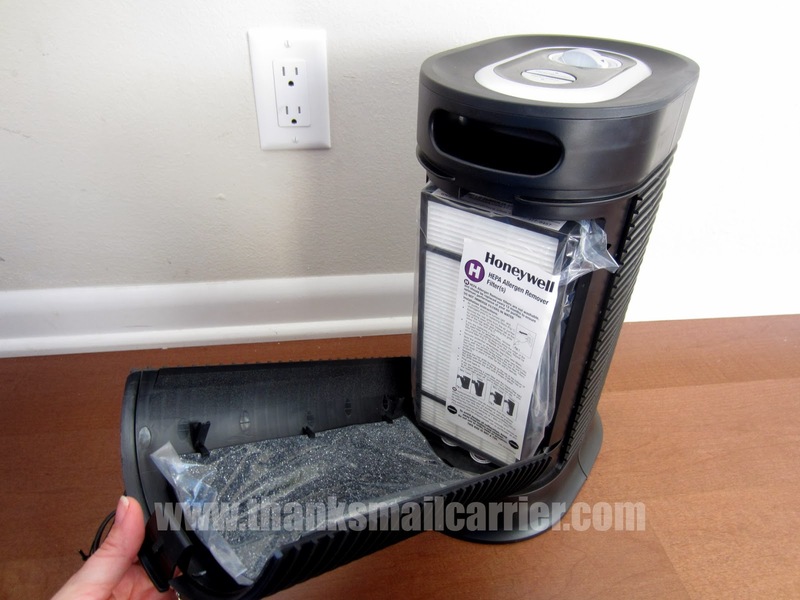 In the meantime — while I dream of those days actually arriving — at least I know that I can do all that I can to remove the stale, stuffy feeling from our indoor air thanks to Honeywell and their True HEPA Compact Tower Air Purifier. While spending all winter in close quarters with family members and pets can feel a bit stuffy, adding an air purifier to your home can help clear the air by capturing microscopic airborne allergens. Wouldn't you rather do that than breathe them in? 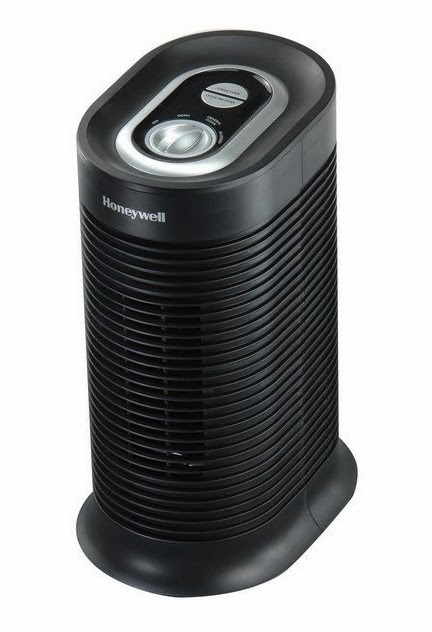 After hearing about how the new Honeywell HPA060 True HEPA Compact Tower provides trusted allergen, germ and odor reduction by capturing up to 99.97% of microscopic airborne particles that pass through the filter, how could I not want to utilize it in my home? 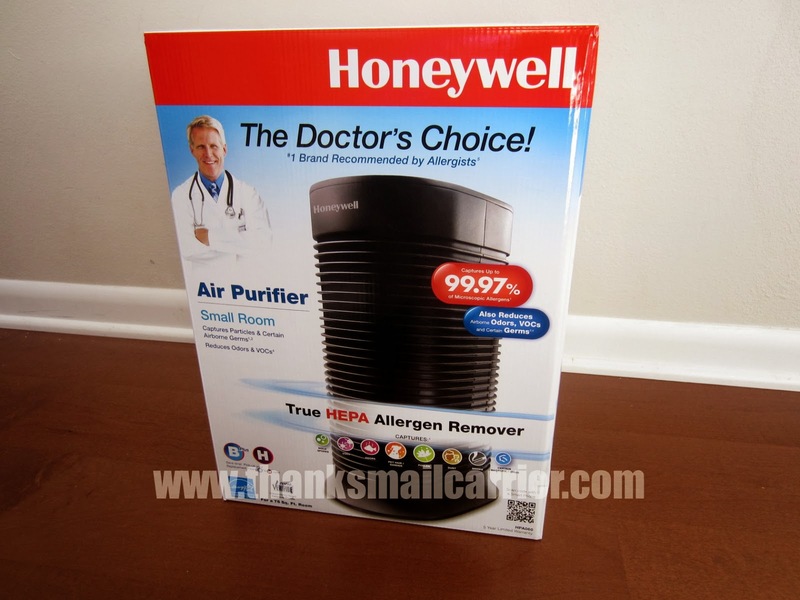 Right away I was happy to see that Honeywell had given this air purifier a clean, slim, modern design, as I could see it fitting right in with the decor in just about any kitchen, bedroom, dorm room, office or more. Plus, the 15.16" height isn't at all overwhelmingly large, so there is no worry about this taking up too much space in any room, condo or apartment. Completely foolproof to set up and begin to use, Honeywell has made this Compact Tower prepared to effectively capture airborne grass, tree and other pollen, dust, smoke, pet fur/dander, mold spores, bacteria and viruses right out of the box. ...and then close it all back up and put it to work. I love that this model features a convenient filter check reminder and an easy-dial control with three settings for customizable air cleaning. 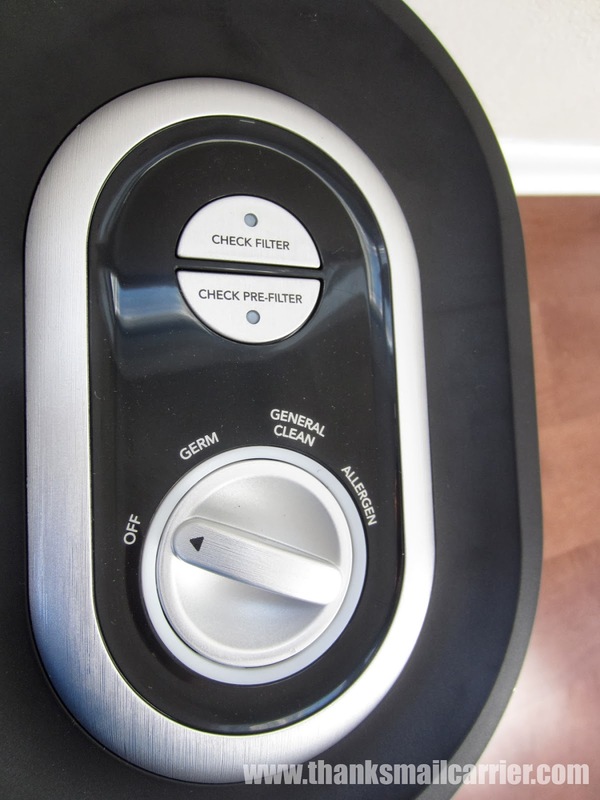 Whether you select General Clean, Germ or Allergen, you're able to then rest assured that the Compact Tower is providing powerful air cleaning technology at just the level you need. This Compact Tower model is perfect for smaller rooms (75 sq. ft.) and the smaller size doesn't stop it from absorbing well and providing a high quality result. As a big bonus, it is also so efficient to operate that it is Energy Star qualified and may actually qualify for utility rebates where available. Allergens can be a major interruption to your daily life – but maintaining indoor air quality shouldn’t be. Keep this convenient list in mind the next time you are thinking of bringing home a pet and find out more about the high quality Honeywell HPA060 True HEPA Compact Tower (MSRP $89.99 from Honeywell or on Amazon) at HoneywellCleanAir.com. They also have great tips and information on Facebook and Twitter. 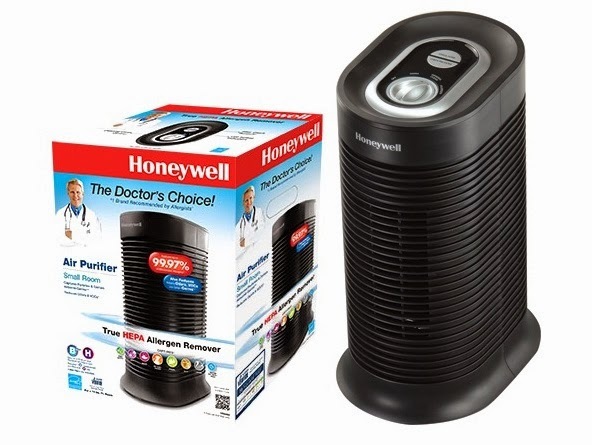 One lucky person will win a Honeywell HPA060 True HEPA Compact Tower Allergen Remover! A big thank you to Honeywell for providing a True HEPA Compact Tower for me to review as well as for one lucky giveaway winner. The opinions shared are my own and honest and if you really need to see more, click here to see how I roll. I would love to have this in our living room. We need it in the living room. It would go in my bedroom. I would use it in my bedroom at night and move it into my family room during the day. My boys playroom could use this!! I would love to have this in our bedroom! I'd say the livingroom so everyone can benefit! I'd love one in either our living room or my bedroom. I would use this for my bedroom! This would be ideal for my children's playroom. This would be great for my daughters room. She has asthma and this could help her. I would love to use this in our family room! I think this would be great for the bedroom. This would come in handy the most in our living room. This is the room where we spend most of our time. I will probably put it in my older daughter's room to help with her allergies in the spring/fall, but we could use one in every room! I'll put it in our room. We have a baby on the way & this will be great! I would have to have this in my living room- it is likely the worst room in the house. My living room would be a great place! I need the purifier in my livingroom. It would go in our livingroom. Thanks. I would love this for my soon to come baby's room! This would definitely come in handy in my living room. This would go great in the kids room! This would go in the new baby's room. This would be great in my living room. With 5 cats and a dog we could really use this. This would come in most handy in the living room. I NEED this in my bedroom definitely..thanks so much. This will probably be best in the living room where we are most of the time. We have two cats so it would help to clear out not only the dander, but all the pollen that comes in the house in the spring and summer. My oldest son has allergies and a chronic cough so I think this would help him out! We'd put it in his bedroom. 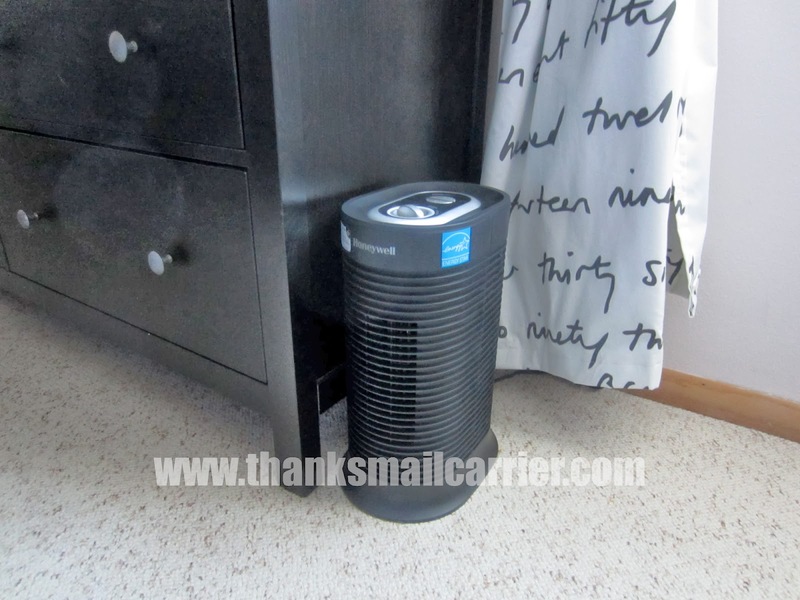 I can use the Air purifier on my son's room, Thank you ! I would probably put it in my daughter's bedroom. I would use this in my bedroom to help with my husband's allergies. I think I'd put this air purifier in the bedroom. I have asthma, and this might be just the ticket to a better, healthier night's sleep. it would go in my bedroom where I smoke. I would use it in our family room. It would be best in my bedroom. This would help so much in my living room where my dogs spend most of their time. This would be most helpful in my bedroom. I am allergic to cats, and of course, I have one, that sleeps on my bed. My bedroom also is off to the side and doesn't get the normal airflow the rest of my apartment does, so the air at times is stuffy. An air purifier would take care of a lot of the dander in my room from the cat, and freshen it up a bit. i would put this in my living room. ty for the chance. 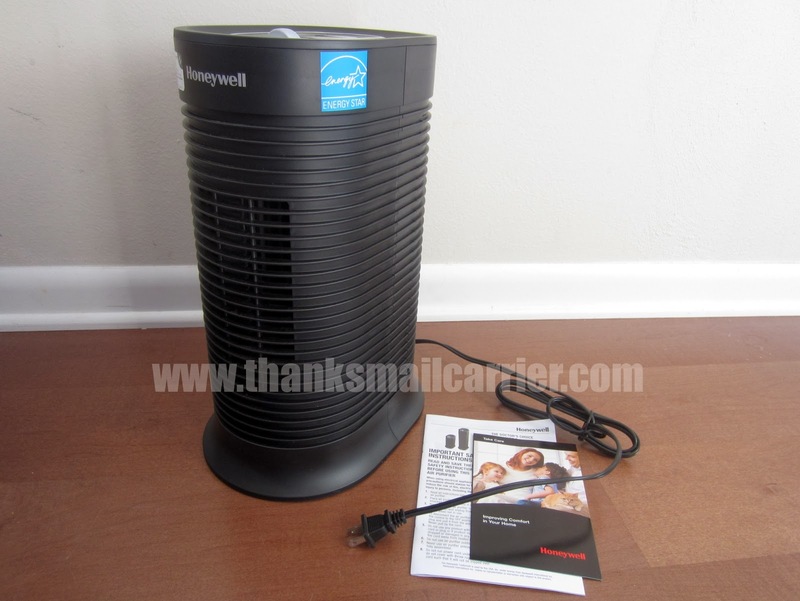 This Honeywell Air Purifier would come in handy in my room, right next to me, thank you. In the bedroom so we can stop waking up with sinus headaches and itchy eyes. Definitely in the bedroom to help me sleep at night. in my daughter's room she has asthma. I would put this in our family room, which is the room we spend the most time in! I like the two way easy pull zippers and the mesh to see what is inside each cube. I would put this in our bedroom. I would use in the bedroom to help breathe easier when I sleep because of allergies. I would use it in my room, the master bedroom. I tend to wake up every morning with sinus problems, both my roommates smoke and I think this would help traumatically in my bedroom. If I won, I would use this in our living room. I'd put it in my living room! This would be great in my grandson's room. He has severe asthma and this might help him. Definitely the living room....we like to keep the windows open but our allergies make it impossible! I would put this in my son's room to help with his allergies. I'd put this in the living room since that is where we are most of the time. This would be great in my home office, where the cat and I hang out all day. I would put this in my living room, which is very high ceiling and large, and where the entire family pretty much congregates the majority of the time. This would be useful in my living room. my son's bedroom since he has allergies. Our living/dining area. We hang out there with most of our 8 cyas and 3 dogs. Thanks. I would put this in the nursery. It would come in handy in the living room .. This would be perfect in my son's room, it's stuffy in there and he has allergies! I have asthma and would love this in my bedroom. My kids are constantly sick, this should help out alot. My kids are constantly sick, this would help out alot. I would put this in my daughter's bedroom. Perfect Timing!! Allergy season kicking in. My daughter could use it in her room. In my bedroom to help my allergies. living room, center of the house! My office - especially since it also doubles as the kitty bedroom. They can create some not so pleasant air at times. My bedroom would benefit the most from it. i would use it in in the livingroom. I would love to use this for our FamilyRoom! It is where we spend most of our time! The Honeywell Air Purifier would be perfect in my bedroom. Leave a comment on the blog post telling us how you like your coffee. I'd use it in our living room the most, but would likely move it to my daughter's bedroom at night, since her kitten and one of our dogs sleep with her at night and she has allergies. With five dogs and three cats, we could really use one of these! definitely my bedroom! I get so stuffy all the time and I think this would help! It would come in handy in the living room. I would put it in the family room since that is where we spend the most time. this would come in handy in our bedroom. This would be good for the living room. I would like to put it in the bedroom. It would def go in my bedroom because that's where my dog sleeps too. During Winter- the air quality can get pretty bad. I have allergies BAD. One of my cats has asthma. This would be purrrfect in our living room. Sorry for the bad pun. I would use it in the living room. Thanks for the chance to win! This would be great in our living room since that is where we spend the most time. I would use it in my bedroom or my son's. I would put it in my living room that is where we spend the most of our time! We've been sick 4 times in 3 weeks, so we need something! or spring to come..either or. It would come in handy in my bedroom. I could always breathe a little easier! our living room for sure! We would put this in our livingroom. This would be great in my bedroom. This would be great in my master bedroom. Thanks. It'd be good in the living room. I'd use in in my daughter's room. She has asthma and allergies. This would be great in our bedroom! It'd be really handy in our living room! I would say in the bedroom. We both have allergy issues and they seem to be the worst in the morning. I would put in my daughter's room. Using the heat in the winter tends to make the air in the house dry. It bothers my daughter the most. Downstairs bonus room because it is closed off and our dog smells it up! This would be used in the bedroom so I could sleep better. I'd put in our bedroom it has only one small window so things kind of linger and get trapped in it. This would be great to help battle allergies in the house. our master bedroom would be a perfect spot for this. I'd use this in my home office. In the bedroom to help the kiddo sleep soundly at night. I would like to use this in our Master Bedroom to reduce allergens while we sleep. I think that would help us out! This would be best in our bedroom for sleeping. In my bedroom, so I can sleep better. Thanks for the giveaway…my wife wants to use in our home office / den where she spends several hours each day working. This would be perfect for the bedroom. My bedroom as it is always so dusty in there. I would keep this in the living room, where there is a large furnace vent! This would go in my bedroom for sure!! I would have to say either my bedroom or my livingroom. Thank you for the chance to win. This would go in the living room so everyone could benefit from it. The bedroom in my dank (and possibly moldy) basement. I would probably put this in our bedroom. I'd put this in the bedroom, so that I could read (and sleep) with minimal suffering. I would use this in the kids room. It would be great to help them sleep. Definitely in my bedroom where the kitties sleep! I live in a small apartment and love my living room and sliding glass doors, so it would be perfect in there. My living room. It would get the most use there.